KwaZulu-Natal is undergoing a significant transformation that encapsulates a commitment to economic growth and development. For this, the eThekwini Municipality has collaborated with key private development companies to rejuvenate commercial hot-spots and create business precincts that are exceptionally modern, secure and well-connected to amenities and arterial routes. Within the last decade, uMhlanga has emerged as a prominent destination for capital injections in the commercial sector and this has resulted in a wealth of new developments burgeoning across its landscape. 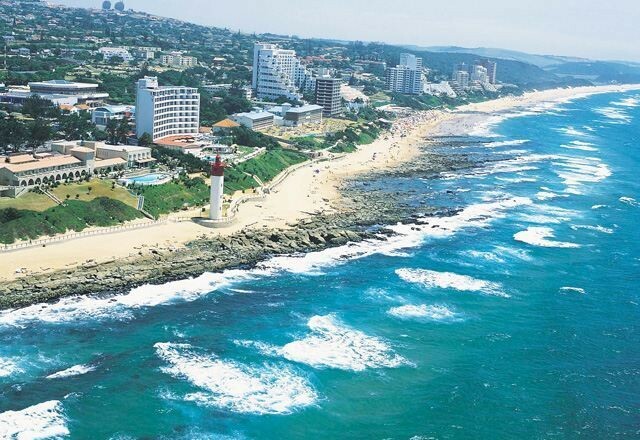 Office space in uMhlanga’s business parks and mixed-use precincts are experiencing phenomenal rental and buyer demand as businesses, especially multinational and blue-chip companies, are seeking to establish themselves in the vibrant coastal town. Meaning a place of reeds, uMhlanga’s first inhabitants of the town were San hunter-gatherers, followed by a strong Zulu monopoly in 1800’s led by King Shaka. At the turn of the 20th century, the rise of colonialism took hold across the country and it was around this time that businessman, Sir Marshall Campbell, “founded” uMhlanga. Campbell was a British descendant and powerful businessman in the sugar industry at a time when the town was renowned for its sugar estates which were instrumental in developing and growing its domestic economy. Today, uMhlanga is the poster town for upmarket residential homes, luxury shopping, opulent business parks and ultra-contemporary offices. Much of uMhlanga’s commercial success lies in its connectivity to the wider Durban that allows people the ability to commute in and out of the town with ease. Served by two highways - the M4 and M41, and the N2 freeway, business people can move freely to meetings, and to and from home and work. These arterial routes receive millions of commuters each month and play a central role in the commercial success of the town. In 2013, the SA Roads Agency embarked on an 816 million upgrade to the N2 and M41 at the Mount Edgecombe interchange, connecting uMhlanga with Durban and KwaZulu-Natal’s North Coast. The project was completed in August 2017 and saw the construction of a one kilometer bridge, joining the north and south decks of the interchange. According to SANRAL, this upgrade was imperative in promoting traffic flow and reducing congestion as the interchange was already operating in full capacity due to the expansion of uMhlanga and La Lucia Ridge areas. Business parks in uMhlanga exude modernity, A-Grade offices, state-of-the art-security, easy access to highways and freeways, and have the added privilege of overlooking uMhlanga’s pristine beach. In addition to this, it is conveniently located 15 minutes from the Durban city centre, 20 minutes from the Durban International Airport and walking distance to premium amenities including; Gateway Shopping Centre and the uMhlanga Hospital and Medical Centre. Seated in uMhlanga Ridge, the Ridgeside Office Park spans 35 266 sqm and is home to renowned multinational and blue-chip companies, some of which include; Investec, Vodacom and Shepstone & Wylie. This precinct boasts modern architecture, surrounded by manicured gardens and open spaces. The revolutionary, New Town Centre, anchored by the 1.6 Billion Gateway Theatre of Shopping, is a catalyst for mixed-use developments in the town. The precinct is a mix between retail, residential and commercial facets, with prominent developments including the; Umhlanga Hospital and Medical Centre, The Crescent at uMhlanga Ridge, City Lodge Hotel, Coastlands Hotel and a range of; motor dealerships, health clubs and private schools. A new trend emerging from the New Town Centre, which is having a ripple effect on the entire commercial culture in the area, is the pursuit of green buildings. Following a sustainable design, these buildings efficiently use energy, water and materials to reduce the impact on human health and the environment. A great example of this is The Boulevard, by Growthpoint Properties. Spanning 100 sqm, The Boulevard is a 4-Star Green Star SA rated office building and incorporates a range of eco-friendly elements in its design and construction, some of which include: environmental management, construction and operational waste management, indoor environment quality, energy efficiency and the reduction of water consumption through harvesting rainwater. Another prime example of uMhlanga’s commitment to green buildings is the latest mixed-use office and retail development - Park Square. Nedbank has invested 1 billion in this iconic development and occupies approximately 50 percent of the 40 000 square meter floor space. With eco-friendliness in mind, Park Square boasts a 4-star Green Star rating. The age of modern office precincts in Durban North was ignited by La Lucia Ridge Office Estate and its success laid the foundation for uMhlanga’s transformation. In a sense, The Town Center was a response to a shortage of office space in La Lucia Ridge and represented much relief to the high commercial demand in the area. Many blue-chip companies can be found on the estate, including Deloitte & Touche, Unilever, Alexander Forbes and Ernst and Young. 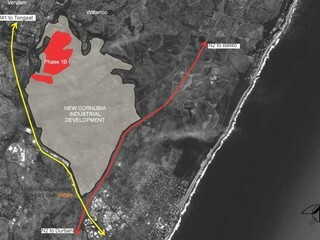 Approximately 9 minutes or 5.8 km’s away from uMhlanga is the “catalytic” Cornubia mixed-use development. Declared a national priority project, Cornubia represents a proactive collaboration between the eThekwini Municipality and Tongaat Hullett. It has been labelled as “the first proposed sustainable and fully integrated human settlement in the region.” Spanning a vast, 1 200 hectares, the precinct will comprise industrial, commercial, housing, and social and public facilities. The commercial aspects of the development include the; N2 Business Estate, Cornubia Business Hub and Industrial Business Estate. Shopping Malls are great assets to commercial hubs, providing a central location for a range of goods and services, as well as a laid-back ambiance for casual business meetings. The most renowned mall in uMhlanga is Gateway, whilst the neighbouring, La Lucia Mall is a suitable alternative for those looking for a smaller, more intimate setting. Gateway is home to over 400 stores, 70 eateries and a selection of entertainment options. La Lucia Mall, located just 5 minutes away from uMhlanga, offers over 130 tenants from local and international retail outlets to restaurants and service related businesses. As uMhlanga transforms to meet the ever-growing needs of an urban populace, Deal Core Property Group continuously mandates exceptional offices from uMhlanga’s most prestigious business parks. Situated perfectly to freeways, highways and a plethora of amenities, these offices are consistently in high demand. Speak to our experienced and helpful agents today to find out more and discover how your business can thrive in this coastal town’s bustling commercial market.